Freedom to customize. Freedom to go modular. Freedom to integrate your refrigeration with the design of your kitchen. 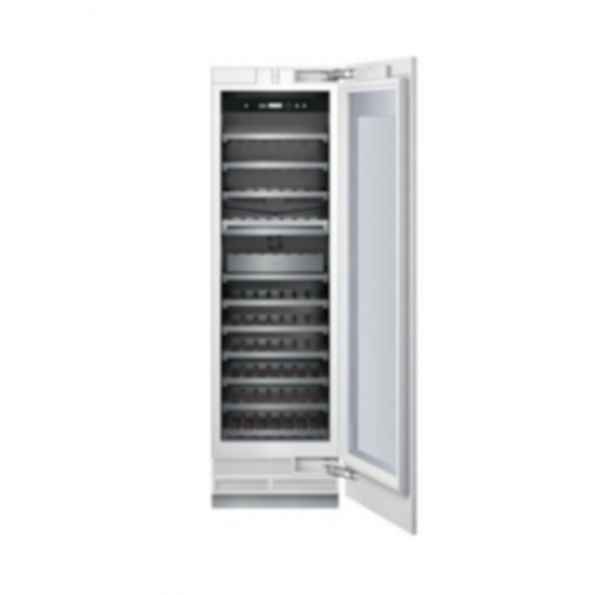 Thats what makes Thermador Freedom Refrigeration the leader in true flush, tall door design. Our refrigeration solutions integrate seamlessly into your kitchen design, with custom fronts and concealed venting grille. Our portfolio of custom panel models available in 18", 24, 30 and 36 widths offers the most design choices in the industry, allowing you to configure your own unique combination of bottom freezers, fresh food, freezer and wine preservation columns. And nothing beats the convenience of our pre-assembled bottom freezers, ready to install straight from the factory. Equipped with flat stainless steel panels and either Professional or Masterpiece Handles set off by a removable stainless steel frame, these units deliver perfect built-in fit and aesthetics in a 24 or 25 deep cabinet.